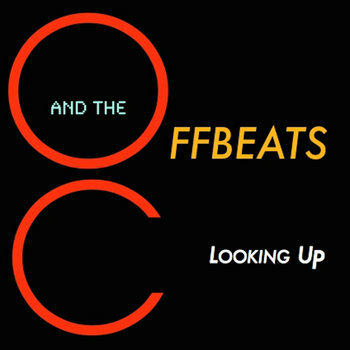 Things are really looking up with the debut CD from OC and the Offbeats. Lead vocalist and guitarist Owen Conforte formed this band with one intention: create fun music with great musicians. Featuring the talents of trumpeter Emma Stanley and Saxophonist Kyle Hardy, the band gives you a taste of classic soul injected into modern alternative. The rock solid groove by drummer Jacob Forbes and bassist Tony Palumbo set the stage for an album thats easy to dance to. Kelly Muse is the secret weapon that delivers burning solos (such as the organ solo on Get A Load Of This) and produces backgrounds that fill out the sound of the band (such as the strings on Looking Up). Kicking off with "Meet Me At The Bar" sets the tone for the album. There's a little taste of country in "Off The Record" and "Your Gone" and some vintage blues on "History" and "Price on Your Head." With all the ups and downs and variety of styles this album has to offer, theres a song or two that everybody can relate to.